During pre-production, Emily (Toni Collette) has some ground-breaking ideas for her part. 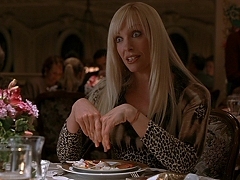 Emily (Toni Collette) causes some confusion while dining with Steven (Matthew Broderick) and Joe (Alec Baldwin). A surprising visit brings Connie (Nia Vardalos) and Carla (Meryl Streep) in a hurry. Connie (Nia Vardalos) and Carla (Toni Collette) successfully perform at the club. 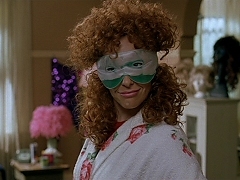 Connie (Nia Vardalos) and Carla (Toni Collette) try their disguise for the first time. 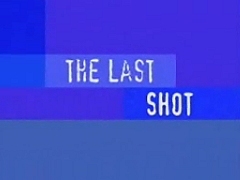 Promotional featurette for The Last Shot, including interviews with the cast and crew. Excerpt from the making of "Connie and Carla", including musical rehearsals with Nia Vardalos and Toni Collette. Press junket interview with Toni Collette to promote the theatrical release of "Connie and Carla" in Australia. Press junket interview with Toni Collette to promote the theatrical release of "Connie and Carla" in the United States. Toni Collette is interviewed on the set of "Connie and Carla". Theatrical trailer for "The Last Shot", directed by Jeff Nathanson and starring Matthew Broderick and Alec Baldwin. Theatrical trailer for "Connie and Carla", directed by Michael Lembeck and starring Nia Vardalos and Toni Collette. Rachel Griffith and Toni Collette share their fond memories of making "Muriel's Wedding". September 02, 2004. Toni Collette promotes the theatrical release of "Connie and Carla" in the United Kingdom. June 01, 2004. Toni Collette talks about "Japanese Story" on the BBC's Talking Movies. E! News special on Toni Collette, featuring various interviews.